Facebook on Monday announced the addition of iTunes credit to its Gifts service. 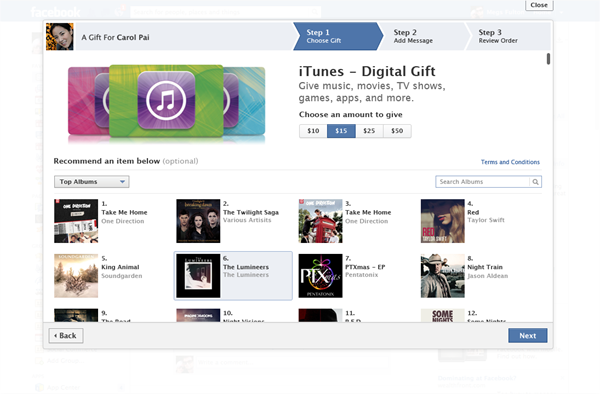 Users can now give iTunes digital gift cards accompanied by recommendations on content that their friends can purchase. iTunes gifts can be purchased in the following amounts: $10, $15, $25 or $50. Recommendations can include songs, albums, apps and movies. 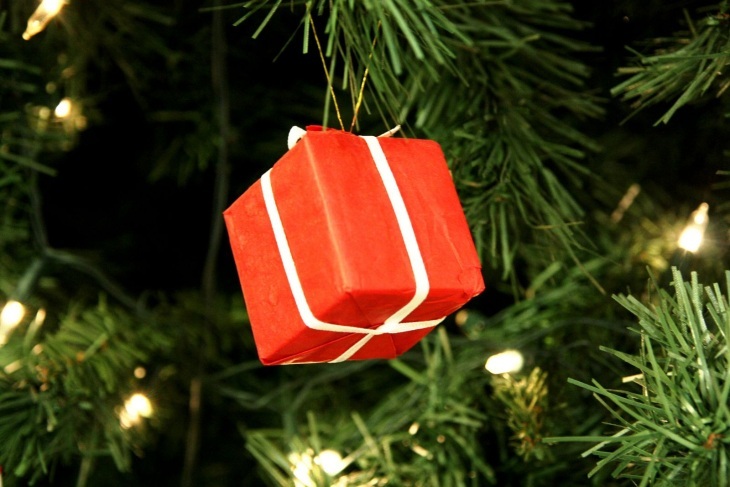 Facebook first announced the current iteration of Gifts back in September and has been moving fast with updates. Earlier this month, it enabled purchases from its iOS app. The company is also testing charitable contributions that can be made on behalf of friends. Partners include both digital services, like Hulu Plus and Rdio, as well as physical goods from retailers like Baby Gap and Brookstone. Apple and Facebook have shared a hot-and-cold relationship in recent years, so today’s collaboration could be taken as a sign of an improving relationship. The two famously had a disagreement over Apple’s Ping social music service, but patched things over with the release of iOS 6, which includes deep integration with Facebook. Given the number of Apple devices that kids are hoping for this holiday season, Facebook’s iTunes gifting support is well-timed. Apple brought in a record $2.1 billion in revenue from the iTunes Store last quarter. It’s gearing up to revamp the store with a new interface in the soon-to-be-released iTunes 11.